“Be a Timeline Jumper. This is the new teaching. What is Timeline? Timeline is Karma. Every day you wake up, in order to face your karma. Nothing happens except that which was destined to happen. You may think that you are creating that reality on a day to day basis. You are not. Not that you cannot, but then you don't have the intelligence, the power to create a new reality for every day. Only an enlightened being can do that. They can create everything afresh, on a daily basis. They can do it even minute by minute. It depends upon how enlightened that person is. But, for most ordinary human beings, you are simply victims to your karma. That's why, your job never changes. Very seldom, people change their jobs. They are afraid that they will not have anything if they make an outrageous decision to do something that will give an outrageous life. In one word, Time is the Past. It is the Karma because Karma is the Past. It is never the present nor the future, unless you understand Time and jump it. Timeline Jumping is Karma Jumping to create a new life every moment”, reveals Dr. Pillai. In this compelling Seminar, Dr. Pillai will guide you to manifest a New Destiny by jumping to a New Timeline that you want. NOTE: The actual contents of the Seminar may vary as per Dr. Pillai's discretion. Take advantage of this precious time in the presence of a Master and learn to jump the new Timelines or Destinies simultaneously available to you! 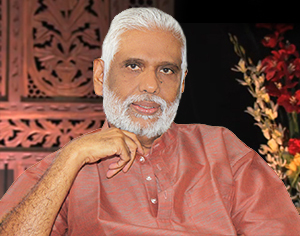 Dr. Baskaran Pillai is an international teacher, global thought leader and world authority on manifestation. He has empowered millions to tap the potential of their mind and achieve breakthrough results in personal and professional lives. Dr. Pillai was hailed by the TIME Magazine as the 'YouTube Guru', and featured in the books 'Manifest Your Destiny' and 'Born Again'. He has been a speaker for the World Knowledge Forum, the United Nations Conference of World Religions, and the Conference for Consciousness and Human Evolution.